Manchester City have reportedly agreed personal terms with Arsenal star, Alexis Sanchez over a transfer move to the Etihad, Gianluca Di Marzio reports. According to the report, the Citizens boss, Pep Guardiola is determined to land the striker and Sanchez is also ‘desperate’ for an official announcement to be made by City before the January transfer window slams shut. 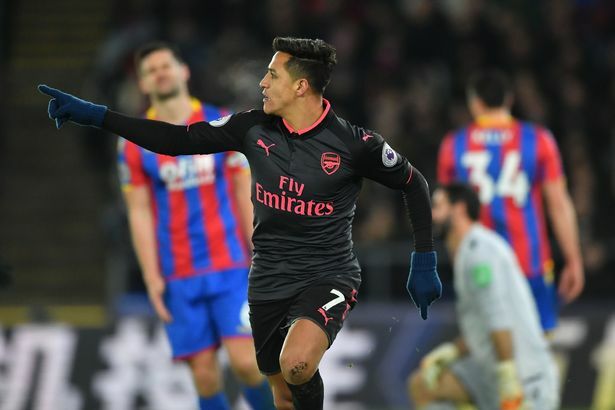 Asked about his interest in Sanchez at the end of December, Guardiola stated: “He is a player from Arsenal and I think he is going to stay at Arsenal. “Now it is just about recovering from today. Sometimes you ask for that, but I have a lot of things in my mind. Sanchez is out of contract at the Emirates at the end of the 2017/18 campaign meaning that the Gunners risk losing him on a free transfer in the summer. The 29-year-old was on the verge of joining City for a fee of around £60million in the summer transfer window. The Chilean International move collapsed as Arsenal was unable to bring a replacement to north London.